Claim a free Emma Bridgewater mug | FreebieFinder UK | Freebies, Samples, & Other Free Stuff. It's competition time over at Yorkshire Provender's Facebook. 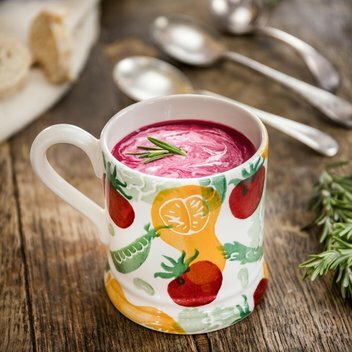 They have teamed up with their friends at Emma Bridgewater to give away a whopping thirty beautiful mugs. They are switching it up this time by celebrating ugly mugs that aren't the most beautiful but stick with you through thick and thin. The kind of mug that no matter how hideous it is, you can't bring yourself to get rid of - that's the sort of mug they are giving away. This was posted 3 months ago 18th January 2019 and expired 2 months ago 1st February 2019. Follow the instructions on the Facebook competition post and you could be one of the 30 lucky people to take home a free ugly mug.